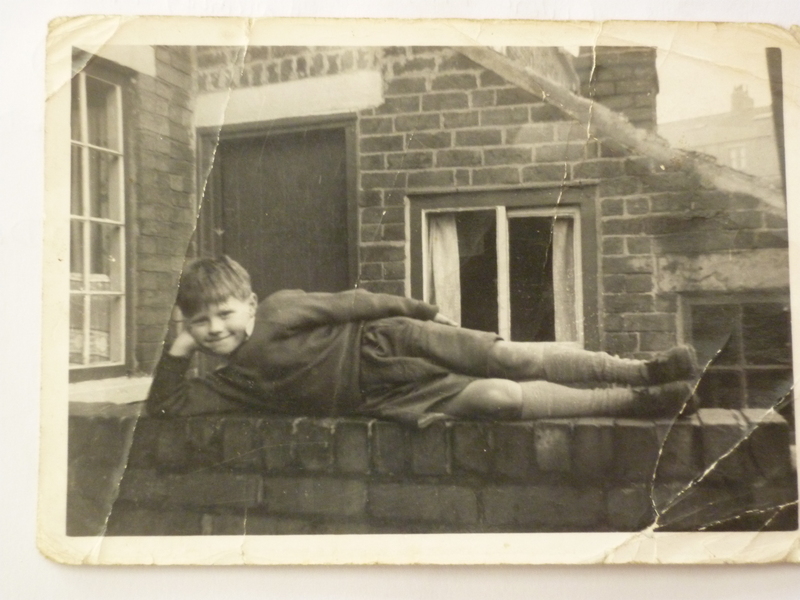 Steam loco driver Matt Hudson in rear yard of No35 Duke St.
A youthful John Hudson posing on Frank Browns wall,Duke St.
My wife, Christine was born and lived at No.35 Duke Street, Mansfield. Her family consisted of: Dad, Matt Hudson – Steam train driver ….. Mum, Winnie / Ellen Hudson – housewife, who worked at Royce and Kath Warmbys chip shop and Bulls Head pub. Eldest daughter Marlene, who married Glyn Townsend. Eldest son Matt, who married Sue. Christine, who married me. Youngest son Johnny, who married Ruth. Roughly halfway along the street was a general store run by Walt Smith, who had a daughter, Angela and a son Mick. The shop was later taken over by Sheila and Frank Groves. 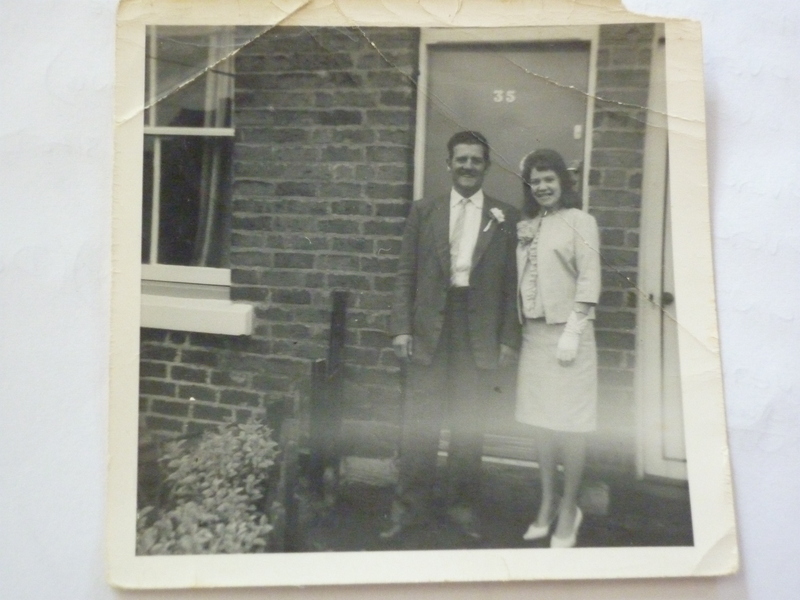 Other residents of the street were: Mrs Brown whose son Frank lived next door to her, Pete Morley, Rita and Bob Searle, Mr and Mrs Green,the Drake family, Mr and Mrs Marriott,who had 2 sons, and also the Hickton family. I wonder if anyone can remember any of the people who lived on Duke Street between the early 1940s to mid 1970s when it was demolished to make way for the inner ring road? My Grandmother died in 1916 at 28 Duke St. Mary Pratley. Would anyone know the Sims family who lived on Duke street, David Sims. Roger , do you know if Matt Hudson was the son of John Hudson & Laura Newbold ? I remember Gill. I am Peter Moore brother of aforementioned Kay Moore who married Ian Marriott and yes we lived at number 6 Portland Street. I was only showing my wife the house which used the be Orange the butcher and also pointed at the house which used the be the Post Office on Lord Street. I remember your Mum and Dad well and used to be a paper boy for your Dad too. It was a lively friendly shop and seemed to sell all the things you needed. There was also an off licence at the other of of our row of houses too. I remember playing football in the pub car park and using the wall of the engineering company as a goal. Happy memories. I too remember Jonny Hudson, Me him and Ian Marriott were good mates and used to spend a lot of time in Titchfield Park. Remember going up to the Ladbrooke estate and babysitting for Jonny’s sister. 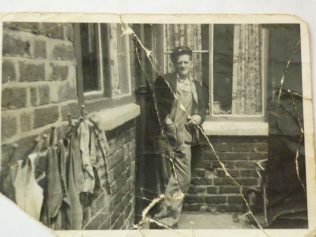 He used to help a guy who did up cars on Duke Street and I think his name was John Hallam and had a brother called Vernon. I also remember a Christine Davies who also lived on Duke Street close to the shop. This certainly brings back memories for me. 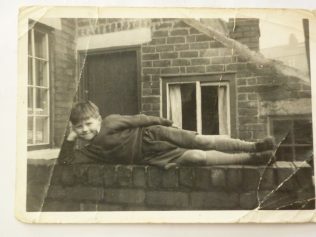 I was Gillian Froggatt and lived on the corner of Portland St and Highfield Terrace. My parent’s had a newsagents come general store. My bedroom overlooked Wharmby’s fish and chip shop and the Bulls Head. I remember the Drake family and the Marriotts. One of their sons married a childhood friend of mine called Kay Moore who also lived on Portland St. I also knew the Hallam family well as they were my parent’s good friends. They moved to Woodhouse Road.Frank went to live in Brazil and I think Vernie also joined him there. Mrs Hallam went to Spain on holiday with Vernie and my mum Sarah Froggatt. I remember the area well and all the streets that were eventually pulled down to create the ring road area. there was a builder’s yard next to our shop called James and the same man used to stand there on match days selling programmes for years. I also remember Parkes store on the corner opposite Lord St where 2 sisters lived selling fruit and veg. There was a butchers opposite too owned by a Mr Orange and another general store near Parkes shop owned by Mrs Frost. Then at the end of the row was a small co-op. Ahhhh isn’t nostalgia wonderful? Hi Roger, yes small world. I remember John (Johnny), Jackie, Frank, Josie, Jamie and I think the youngest was Vernon. Alan, John Hudson attended High Oakham School approx 1965-69,regards Roger. I lived at number 1 Duke street, first detached house on the left hand side from bottom end (Nottingham road). I lived there in 1970. The house was made up of 4 flats. I often wondered who might have lived there when it was a whole house. Across the road from me lived the Hallam’s. They were newspaper wholesalers and I would often hear their van go out in the early hours of the morning to deliver the newspapers. I went to school with a lad from Duke St.. High Oakham was the school, Baxter was his name.. Alan Curtis. Hi Angela,thanks for your comments. Small world isn`t it !!!! One of the Hallam families sons, Johnny was a big friend of Matt Hudson ( junior),my brother in law, who I will ask for more infomation. Best regards Roger.